Strategic Partners - eDelta Consulting, Inc. The BDO Alliance USA is a subsidiary of BDO USA, LLP, a Delaware limited liability partnership. For more than 100 years, BDO has provided quality service through the active involvement of experienced and committed professionals. The firm serves clients through more than 60 offices and 550 independent Alliance firm locations nationwide. As an independent Member Firm of BDO International Limited, BDO serves multi-national clients through a global network of more 73,000 people working out of more than 1,500 offices in over 162 countries. BDO USA, LLP, a Delaware limited liability partnership, is the U.S. member of BDO International Limited, a UK company limited by guarantee, and forms part of the international BDO network of independent member firms. BDO is the brand name for the BDO network and for each of the BDO Member Firms. Learn More. EZFire is a privately held consulting group passionately dedicated to helping government agencies, Technology, and other vendors, large and small corporations and educational institutions make their technology equally accessible to all people, including those with disabilities. The company offers professional consulting, technology solutions, monthly monitoring services to ensure that clients reach all audiences effectively while meeting governmental and industry standards. Learn More. The Bureau of Internet Accessibility offers free Web sites accessibility analysis using Section 508 Standards, WCAG 2.0 standards and checks for broken links. Our services are complimentary with no obligation and Web-based requiring no software installation. Optional on-demand and automated analysis services are available, but not required. Learn More. Appian is the market leader in modern Business Process Management software. They deliver unique work-social capabilities by combining their proven expertise in improving how work gets done with our industry-leading innovations in social collaboration, enterprise mobility and portable on-premise/cloud computing. 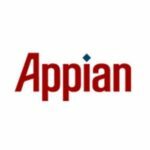 Worksocial from Appian gives you everything you need to drive better business decisions, actions and results. All the data, all the processes, all the documents and all the collaborations – in one environment, on any device, through a simple social interface. Learn More. Sourcefire is 100% dedicated to cyber-security technologies. Trusted for more than a decade, Sourcefire epitomizes security innovation, intelligence and agile end-to-end protection. With solutions from a next-generation network security platform to advanced malware protection, Sourcefire provides customers with Agile Security that’s is as dynamic as the real world it protects and the attackers against which it defends. 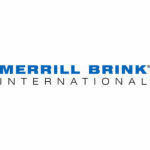 Merrill Brink International is a leading provider of life sciences, legal, financial, manufacturing and corporate language solutions for global companies. A proven leader with more than 30 years of experience, the company offers a wide range of language solutions including translation, localization, internationalization and globalization services. Learn More. Trustwave is the leading provider of cross platforms for the enterprise, Trustwave products-AppDetectivePro for auditors and IT advisers, and DbProtect for the enterprise – deliver the industry’s most comprehensive database security solution. Learn More. Global Financial Markets Institute, Inc. (GFMI) is a NASBA-certified financial training and consulting boutique, created, managed and staffed by Wall Street professionals. Since 1998, they have designed and delivered highly interactive, creative financial training solutions to the industry’s most prestigious commercial banks, regulators, insurance firms, investment banks, rating agencies, and support firms. GFMI has had the privilege of partnering with nearly all federal regulators for several years, addressing their learning and speaking engagement needs. Learn More.